Imagine that you have a mountain of credit card debt--or maybe you don't have to imagine it, as the average American is carrying $5,700 in credit card debt, according to a recent study from ValuePenguin. If you have thousands of dollars of credit card debt, it may feel like it's going to take forever to pay it off, because not only do you have to pay back the principle, but you also have to pay interest, and for people who don't have great credit scores, that could be upwards of 25% a year, which according to MagnifyMoney, translates to an extra $900 a year each American household pays to maintain that debt. With that much money on the line, that day when you get a credit card statement with a zero balance might feel like just a hazy dream--and it could cause you a great deal of anxiety, but there's an app that can help you get out of debt--and now it's available on Android. It's called Tally, and it was developed by serial entrepreneur Jason Brown, who wanted a way to help people get out of debt as quickly as possible. Tally launched in 2017 with the idea that it would help you manage all of your credit cards in one place. Originally developed for iOS, it's now available for Android smartphones. Tally has also just introduced Tally Advisor, a robo-advisor feature that finds out when you'd like to be debt-free and figures out how you can achieve that goal. Basically, it does the financial figuring so that you don't have to. 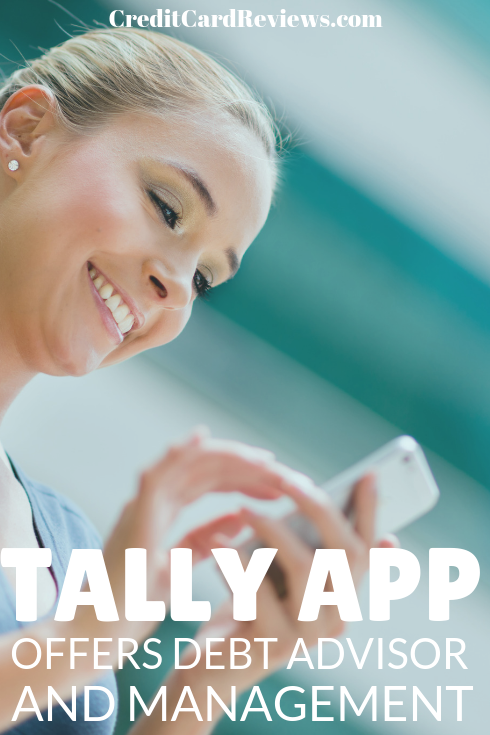 One difference between Tally Advisor and other technological debt management products is that Tally pays a little more attention to your actual habits and offers smarter advice. 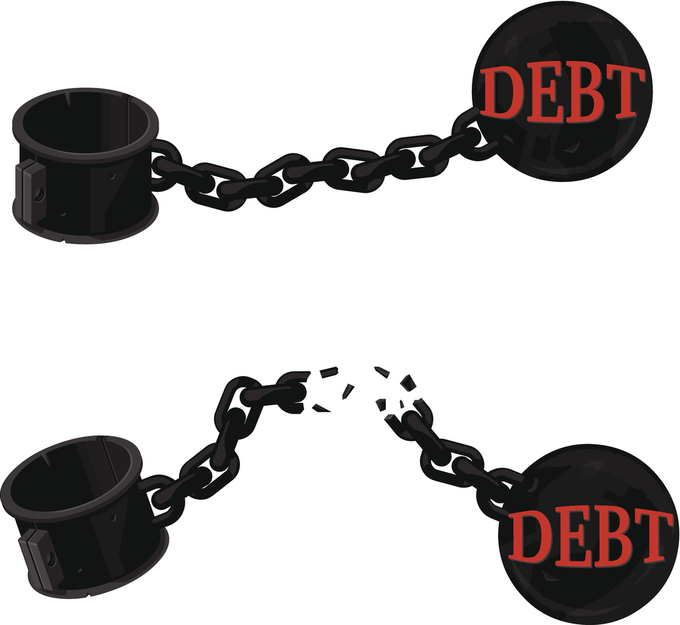 Many other tools only work enough to advise you to pay a fixed amount on your cards every month until the debt is gone. Tally Advisor will give monthly payment recommendations that are above the minimum payment amount. It also gives you the flexibility to set new payment goals as you work your way toward achieving a debt-free status. The advisor tool can do this because it does what other calculators don't do: It assumes you're going to keep using your credit cards. Many other debt repayment calculators tell you to pay a certain flat rate every month, and they also think you'll stop using your credit cards all together so you can achieve that goal. Tally knows that it's really difficult for most people to go cold turkey, so it looks at your data and makes new payment recommendations each month. It does, however, encourage you to spend less every month. Its recommendations take into account what you spent that month on your credit cards, and it also tacks on an additional three percent of your outstanding balances to ensure that you actually make progress toward achieving total debt elimination. On top of this, it does a little guilt tripping to show you how much you could save if you just paid $50 more toward your debt every month. The app works by offering you a debt consolidation loan and then making payments on your cards for you. Once you load your credit cards into the app, it determines the order in which the cards should be paid off. It uses money from your Tally line of credit to make these payments, while you pay off your Tally loan. True, Tally also charges interest, plus one percent of the total amount you borrow, but that could be less than what you'd be paying without the tool. For those in serious credit card debt, this could be a tool that gets you out of debt faster and saves you money in the long run--and now it doesn't discriminate between iOS and Android users.